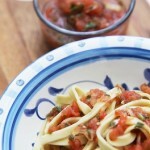 The delicious fresh flavour of fresh pasta is enhanced when you add fresh salsa as a quick and easy pasta sauce. Coriander, chili and first-rate tomatoes make a fabulous tasting pasta sauce. 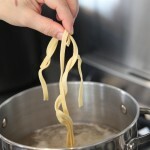 Step 1: Measure out the quantity of fresh pasta you need and add it to boiling water. 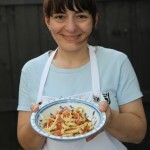 I generally use around 130g of fresh pasta per serve. Step 2: Boil for a few minutes and drain. If needed, adjust the time according to your pasta maker’s instructions. Step 3: Spoon Richie’s California Style Fresh Salsa onto the drained pasta and mix through. 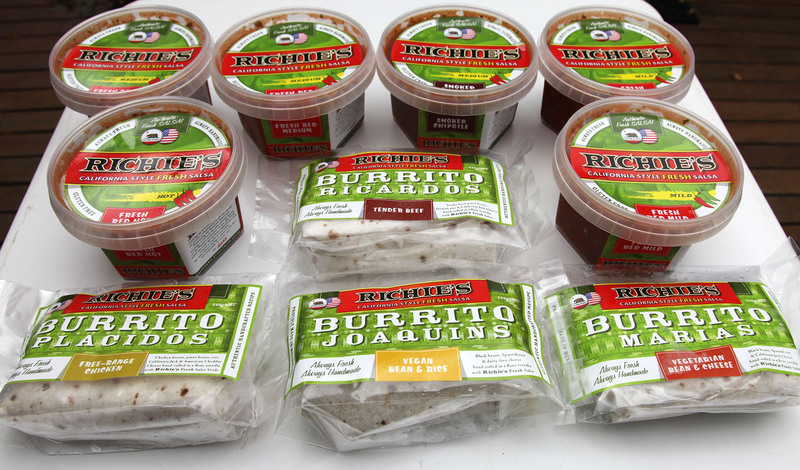 I usually use 1/2 cup fresh salsa for each serve, but adjust if needed for your taste.